The Participatory Village Development Programme (PVDP) is a locally registered development non-government organisation (NGO) established in 1997 with a vision to see in the time to come a healthy, literate, civic and socio-economically self reliant community. The organization was formed with a mission to support the poor and disadvantaged communities in improving the qualities of their lives, through encouraging people to organize and mobilize themselves for social change. PVDP was formed with a clear aim to tackle the causes of poverty and deprivation and bring about a long term difference to the lives of the most disadvantaged people of Tharparkar district of Sindh Province in Pakistan. To achieve this aim PVDP and the community embarked upon the challenging task of improving the natural resources upon which 90% of the poor and disadvantaged people depend. PVDP and the Community will work together towards long term change by improving, the water resources, the livestock resources and the general tree and fodder resources of the target area. The improvement in the natural resources will contribute directly to the improvement of living conditions of the poor and marginalized people. When this happens, it will help the target groups to sustain the project’s benefits in the longer term. 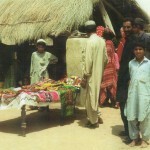 The economy of Tharparkar is mainly based on livestock and cattle which people raise to eke out their daily living. 90% of the population of Tharparkar district live below the poverty line and women and girls are especially disadvantaged. Besides, improving the natural resources, PVDP and the community also work towards improving the health, education and the development of capacities of the communities, particularly the poor and marginalized groups. PVDP respects the rights, culture and dignity of all people and stakeholders it is working with. PVDP considers all human beings as equal irrespective of gender, caste, creed, beliefs, affiliation or political commitment. PVDP gives top priority to the interests of the vulnerable groups such as women and children. PVDP believes in participatory approaches in all its work and intervention. PVDP opposes discrimination of all kinds. The target groups of PVDP are the poorest households in the project villages. These households are carefully selected by PVDP staff and the village organization. The main object of the programme is to enhance the socio-economic, health and educational status the selected beneficiaries, 90% of which are women and children. 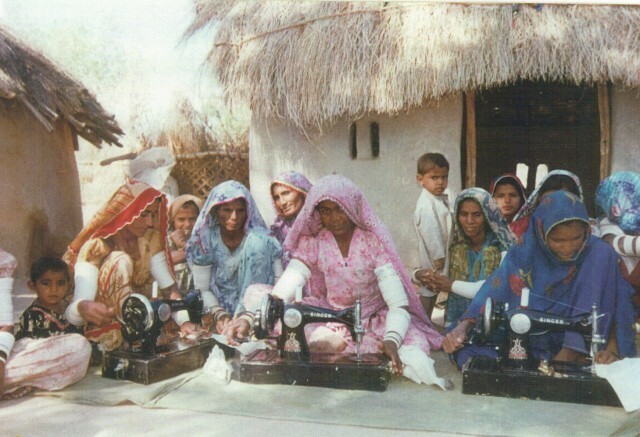 Women and girls are more vulnerable to poverty in Tharparkar. This is mainly because of the gender inequality which has aggravated discrimination due to social cultural and economic reasons. There is unequal participation of women and girls in community life and there is hugely unequal access to assets such as livestock, land, health and education. PVDP is striving with the local communities to address the issues of gender inequality in order to reduce poverty and marginalization of women and girls. Together with building assets of women, the project aims to bring about changes in attitudes, roles and behaviour that are essential for gender equality to be achieved. The environment, which produces the most essential means of survival, namely food, fodder and fuel, is badly degraded due to human and animal pressures. PVDP and the community have taken the challenge to restore the land’s fertility through developing its pastures and grazing lands. PVDP is motivating the community to raise small flocks of animals, which are manageable and more economical to the households. At the same time PVDP also advocates and motivates the community towards smaller family units to reduce the overall pressure on resources. For this purpose a poverty reduction model based on improving the assets of households and providing regular income to the households has been developed together with the project communities. The poverty reduction model calls for improving the natural resources with which the livelihood of majority is directly linked. The objective of the poverty reduction model is to ensure secured livelihood for the poor and disadvantaged communities and reduce their vulnerability related to droughts and other disasters (earthquake). To address the causes of poverty and vulnerability of disadvantaged communities, PVDP and its partner community organizations have developed a poverty reduction model based on production and harnessing of natural resources on sustainable grounds. A six activity based model is introduced through women at household levels. The model ensures development of permanent assets for women and a sustainable livelihood from livestock and land resources. PVDP strongly believes in participatory approaches in all its programmes. Consulting and involving marginalized people right from identification of problems to the planning, implementation, monitoring, review and evaluation stages is the normal practice of PVDP. PVDP believes that involving the community at every stage of the project development is vital to increase the chances of making a long-term difference and ensure that the benefits of the project will be shared fairly among the poor and marginalised communities. PVDP also seeks the collaboration of local government bodies particularly those relating to agriculture, health, education and veterinary services at district level. PVDP believes in the capacity building of the community organizations it is working with, the staff implementing the programmes and of the volunteers, to be able to tackle the causes of poverty more effectively, more efficiently and in a sustainable way. The aim of PVDP is to eventually shift the responsibilities of the project over to the community organizations over a number of years. It also means that over the years, the role of PVDP will reduce and role of the community will increase to the extent of taking over project activities and the management of community development work by the “Goth Sujag Markaz” – The Village Development Organizations of the villages. Our constant interaction with project communities, government bodies and other stakeholders provides us an opportunity to use our combined energies and resources for the development of marginalized people and enable them to have more control over their lives. PVDP, in the course of its work, aims to create more awareness of basic rights and equity issues at the family level, at government and civil society levels. This kind of awareness at various levels will help to influence attitudes and practices among decision and policy makers. The aim is also to create effective channels of communication between the grassroots and policy makers which is fundamental to influencing sustainable changes to the lives of the most disadvantaged people. PVDP has developed networking with various NGOs and government organizations in the development field. This kind of networking is helping PVDP to share experiences and exchange resources to create an environment of co-operation to bring about sustainable development initiatives for the most disadvantaged groups. Networking is helping to share lessons learned from project implementation of various network partners and in maximising impact and building organizational expertise. PVDP is a learning organization. It learns from everything it does with the community and other stakeholders. The learning sharpens our vision and helps us to improve the way in which we work as an organization. PVDP is a rights-based organization. It respects the rights, culture and dignity of all people and stakeholders it is working with. The organization considers all human beings as equal irrespective of gender, caste, creed, beliefs or political affiliation. 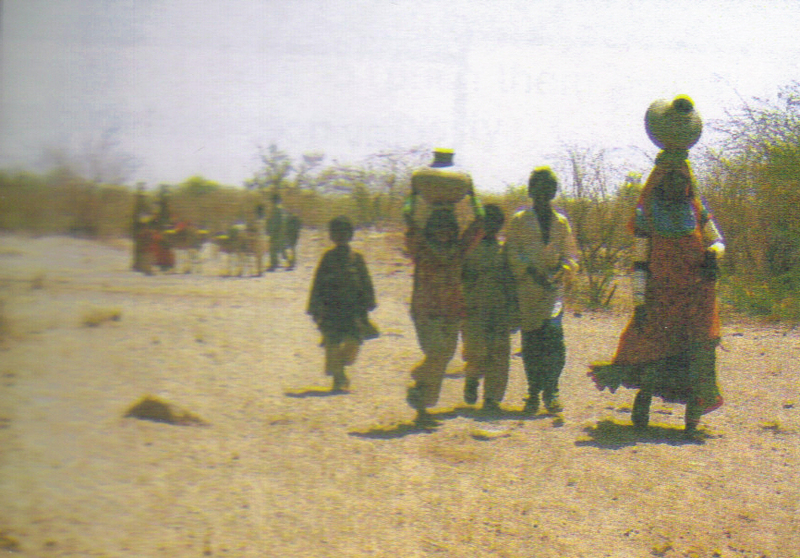 PVDP gives top priority to the interests of the vulnerable groups such as women and children and their rights. PVDP opposes discrimination of all kinds. – Promotion of smaller family units. – Capacity building at volunteer level. – Working to influence policies and practices. 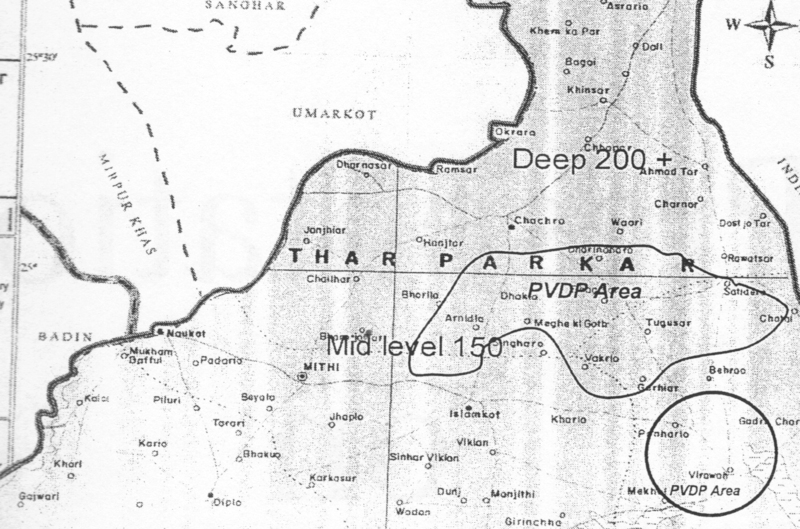 PVDP started its work with only 10 villages in 1997 when it was established. Work gradually expanded over last five years and at present this organization is working with communities in 60 villages with a population of about 50,000 comprising of about 7,000 households. PVDP so far has supported the communities in forming 22 men and 27 women’s organizations who are regularly trained to build their capacities for self reliance. PVDP and village organizations have worked together to plant about 52,000 trees, grafted about 2,600 bair fruit trees, 400 rainwater harvesting tanks, supported 14,104 poor families in times of droughts and earthquake. 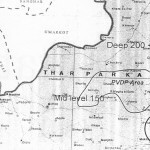 Besides these activities, the links of PVDP within and outside Pakistan has increased. – The staff has gained on the job experience in regular development activities and relief work. – PVDP is member of Indus NGO Network, which only admits value based and functional NGOs as members. This two- stove model provides the facility to cook two meals at one time. As the stove is smokeless, it saves women’s eyes from smoke related eye diseases besides preventing the internal portion of house and cooking pots from blackening. The major benefit of this stove is that it saves about 1/3rd of the fire wood. It is estimated that each household in Thar burns about 10 kgs of wood per day. With this stove, about 3.3 kgs of wood is saved daily and in one year about 1200 kgs of wood is saved.. 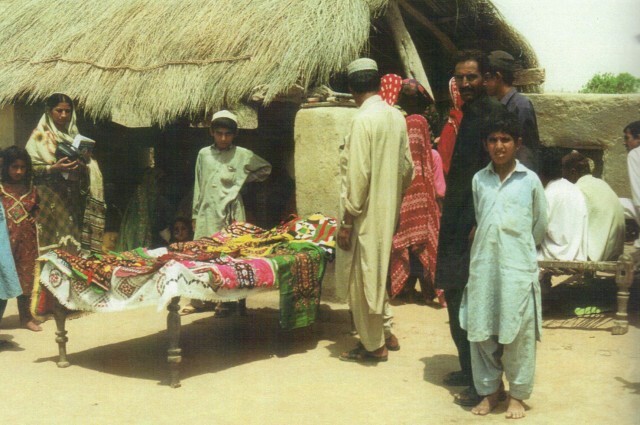 The Thar population is about 1 million comprising of about 140,000 households. If one household saves equal to 1200 kgs of wood, all the 140,000 households together can save up to 168 million kgs or about 4.2 million mounds of wood equal to about 42,000 full grown trees per year if they are using this fuel efficient stove. The stove has a great environmental impact. The use of this stove helps to improve our badly degraded environment due to cutting down of trees for fire wood. It also helps to reduce land degradation and desertification processes. (Value of annual saved wood per household: 1200 kgs x Rs. 3/- per kg= Rs. 3,600) (£40). The objective of this programme is to motivate the community for raising small flocks of animals to reduce the overall pressure of animals on the grazing land which in turn will help to reduce land degradation and desertification due to over grazing. Under this programme a poor family is supported with a unit of 6 she goats. The benefit of this activity to a poor family is two-fold; goat milk is used to overcome the problem of malnutrition commonly found in women and children due to poor diet and secondly, the male goat kids are sold to supplement poor family’s meagre income. This is a revolving loan programme in which two goats are recovered by the project each year, this way all the six goats come back to the project in three years to help another poor family with the recovered goats. The selection of a poor family for the Small Flock Programme support is made jointly by PVDP field staff and the Goth Sujag Markaz Committee (Village Development Committee) of the village. Value of milk Rs. 20,000, (£222) and income from the sale of a male goat Rs. 15,000 (£167). Grafting bair trees: This activity is conducted to support poor Thari households in raising bair fruits on their land for income generation. 50 bair trees of local variety are grafted with improved variety of marketable bair. It takes from two to three years to produce bair fruit which can be sold in the market to supplement family income. Traditionally three rains are needed to ripen the Thari crop of Bajra and Guwar. If three rains do not occur on time, the crop becomes a failure. The bair fruits can be raised in one good rainfall. Even if subsequent rainfall does not occur, this activity still gives good results to the farmers. Cost of grafting one bair tree comes to Rs. 50 including cost of transporation, staff time and cost of graft from another bair tree. So cost of 50 bair graft cost Rs. 2500 (£28). Annual bair sale (minimum) is Rs. 5,000 (£55). Handicrafts: This activity is undertaken by PVDP and Goth Sujag Markaz to provide earning opportunities for poor women to meet the basic food needs for their families through sale of handicraft work. The activity also helps to address the problem of food security among the poorest families in times of drought when food shortages lead to an increase in the illness and mortality rates amongst the poorest section of the community. PVDP supports women with quality raw material for making embroidery which they can sell in the market. PVDP helps in improving the quality and design of the products so that they can fetch a market inside and outside of the country. One woman on average can earn upto Rs.30 per day and in a year she can earn up to Rs. 10,000 (£111) without disturbing her daily chores (fetching water, cooking , tending goats, looking after children, helping in agriculture activities).